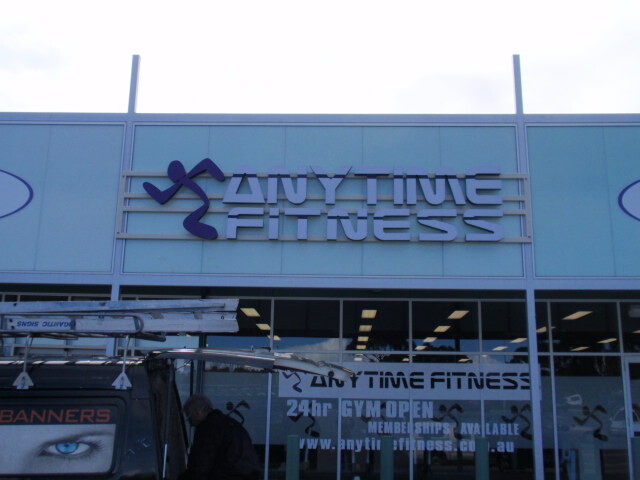 Gigantic Signs will provide innovative, creative and competitively priced products that will generate awareness, achieve marketplace prominence and increase revenue for our clients. 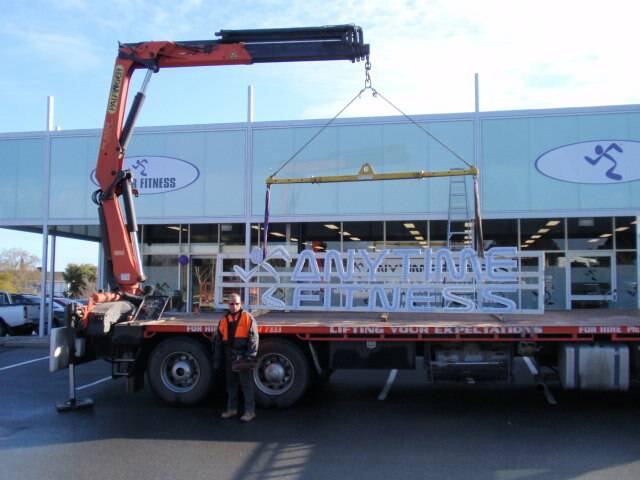 Gigantic Signs serves as one of the largest, most experienced, and technologically advanced sign manufacturing companies. 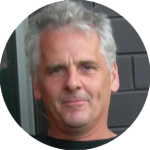 We can be relied upon to produce what you need, at the highest quality available, when you need it. 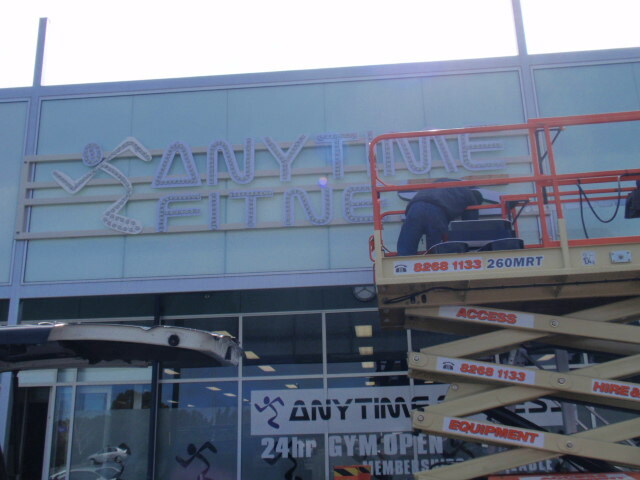 Commissioned to manufacture and install a large illuminated exterior sign for the Anytime Fitness group. 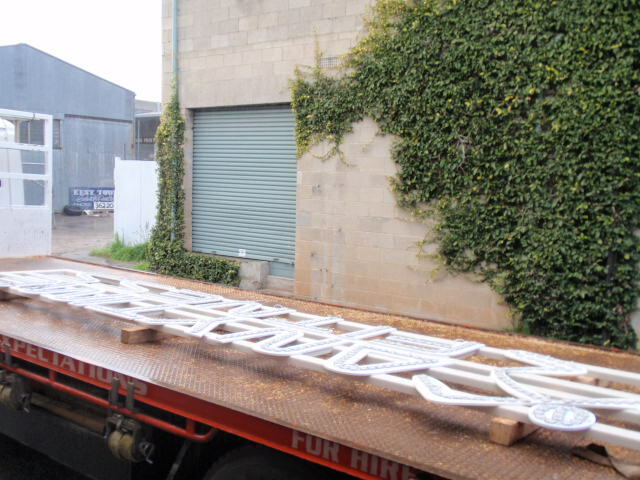 Fabricated 4.5mm Acrylic. 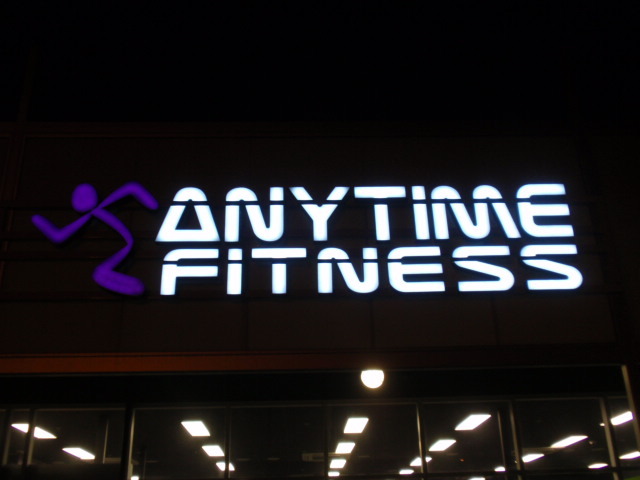 Each letter and logo was Individually lit with durable and energy efficient LED lights.